Hate On Bey: Above and Beyonce FLOPPED!!! Well we no now that you are back. Of course everyone knew that. Her PR team you have to give them their props they can hide failures very good. The trick is to continously put out stuff so that people don't keep their eyes on your failures. LMFAO WTF happened to this blog, Its like MOD went Into hibernation & waited for some Gossip due to lack of Ideas. Your so Late, ofcourse it Flopped it got Appox. 0 Promotion, The Remixes were Poorly produced & I know some haters think it was a re-realease, Its Not. Its a Success if you ask me. Haters are so SAD. Anywho the Remix LP sold 90K, If you think about it Letoyas lady album is an even bigger flop. there are no excuses. 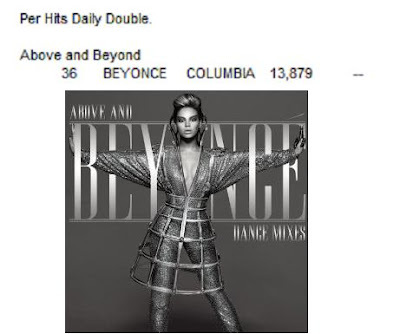 It only sold 112K LMFAO, Solange sold more than that(215K). THE QUEEN BEYS I AM SOLD 5.25 MILLION using low-Budget B&W Vids, only 2 mnths Promo, the Whole thing was leaked to weeks in advance. Post That HOE!! She just needs to go away for a while. Damn! !